Former cricketing greats and fans in Pakistan paid tribute to Indian batting superstar Sachin Tendulkar after he became the first player ever to score 100 international centuries. “It is a great achievement which other players of his era and those who come after him will not even think of achieving,” said former Pakistan captain Javed Miandad. Miandad hailed the father of two, known variously as the “Little Master” or “Bombay Blaster“, as a role model for the cricketing world. Another former Pakistan captain Moin Khan, who played against Tendulkar from 1992-2004, also joined the chorus of praise. “He has achieved something which will be tough to match. He has been a trend–setter and if players emulate him we will get more great players. 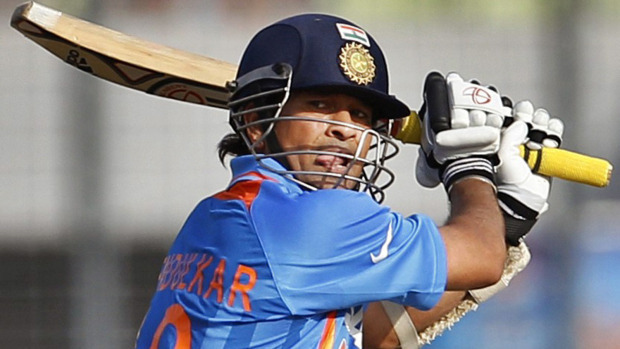 “Tendulkar’s speciality is that he is very professional, loves the game and lusts for runs. With no controversy in his career he has been a role model for future cricketers,” said Moin. Fans in the street also acknowledged Tendulkar’s feat. New Delhi, India- Events at an auction held earlier this month by India’s wildly popular Indian Premier League (IPL), consisting of professional cricket teams and franchises, has caused outrage amongst the cricket crazed Pakistani population. Up to seventeen top Pakistani cricketers were anticipated to be selected as top picks in the auction between the teams that saw none of the Pakistani players being selected. Indian Union Home Minister P. Chidambaram on Monday said that the “decision of the franchisees not to select any of the 17 Pakistani cricketers, who had been given Indian visas for participation in the third edition of the Indian Premier League (IPL), was a disservice to the game of cricket.” Speaking in an interview to a television channel, Chidambaram said that the “IPL issue could have been handled in a better way” and expressed disappointment over the non-selection of the Pakistani cricketers as individuals. He said these players were 20-20 World Champions and did not deserve to be treated this way. He said that any suggestion that the Indian Government had “nudged” the IPL not to select Pakistani players was not true and had no foundation. The Pakistani press also had a field day with this turn of events calling for a boycott by the hockey team that is scheduled to visit India next month for Hockey’s World Cup being held in India where Pakistan is scheduled to participate. The sports ministry has also put on hold its granting its permission for the Pakistan golf team to tour India next month. In addition, Speaker of Pakistan parliament’s lower house, Dr. Fehmida Mirza, stopped a parliamentary delegation’s proposed tour of India in protest. “We have asked both our foreign and interior ministries to let us know about the golf team’s tour to India,” sports ministry spokesman Faik Ali told the Associated Press. “We will decide on golf team’s tour to India after receiving inputs from both ministries”, she said. Even Bollywood superstar actor Shah Rukh Khan, an owner of one of the IPL teams, the Kolkata Knight Riders, weighed on the issue saying it was “humiliating” to see none of the Pakistani players being picked and that the issue could have been handled better. The tensions between India and Pakistan are seen as the main reason why the teams stayed away from picking the top Pakistani cricketers. There is a fear amongst the owners of the teams that should the animosities between India and Pakistan escalate, then the teams would suffer as their Pakistani players would be unable to travel or participate in games due to conflict between the two long time enemies. So in a sense it is a business reason that may have precipitated the action by the IPL. There is also a belief by many in Pakistan that perhaps the Indian government influenced the IPL into not accepting Pakistani cricketers as a way to reprimand Pakistan and punish it and its citizens for the Mumbai attacks of 2008, which is still fresh in everyone’s minds. 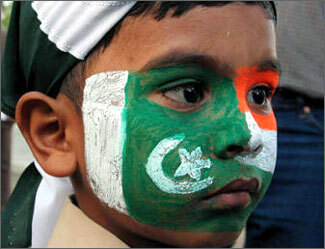 India feels Pakistan has not done enough to rein the terrorist groups blamed for the attacks. Nonetheless, the upset Pakistani cricket fans should also realize that there is a persistent uneasiness and suspicion on the part of India as Pakistan continues to be seen as the major threat to India’s sovereignty and security. To many in India, allowing Pakistani cricketers to play in India’s IPL would be seen as a way of rewarding a country and its citizens whom you detest and view with deep suspicion and enmity. So in a region of the world where so much tension and conflict already exists between the two neighbors and has simmered for over 60 years, one must not assume everything is peachy and just play ball!